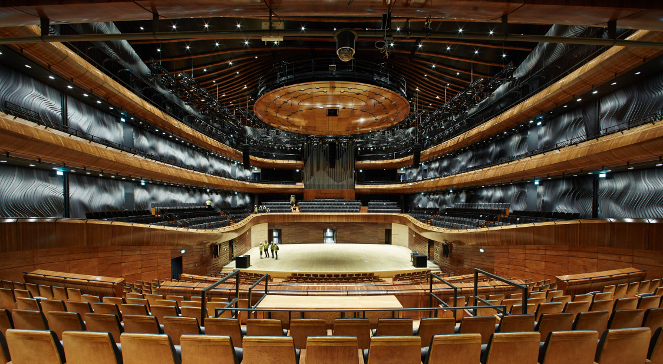 The programme of this year’s Huddersfield Contemporary Music Festival (20-29 November) has just been announced and the opening day’s concerts feature music by two of Poland’s most distinctive composers, Agata Zubel (b. 1978) and Jagoda Szmytka (b. 1982), all UK premieres (*). 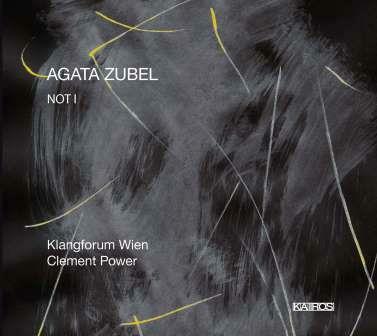 At 18.00 on Friday 20 November, Zubel will sing her Not I (2011)* with Klangforum Wien, under the baton of Clement Power. 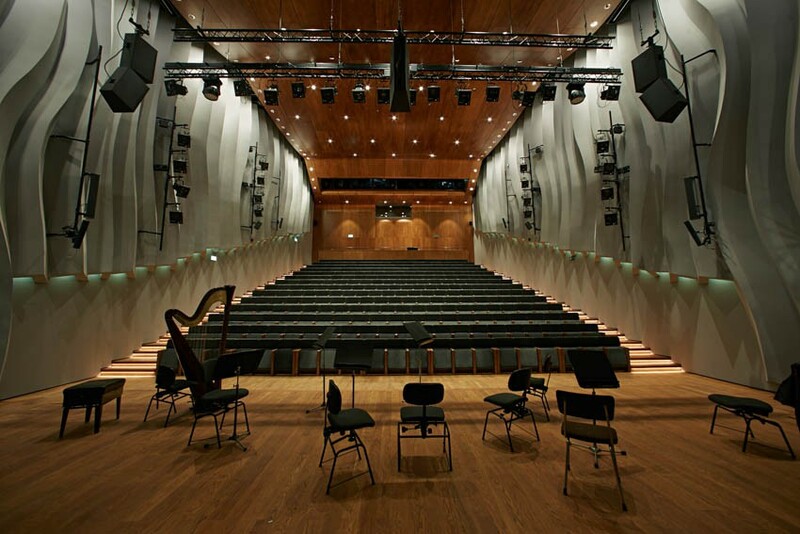 The recording of their performance of this Samuel Beckett text won the top award at the UNESCO International Rostrum of Composers in 2013 and is the title track of Zubel’s Kairos CD (2014). At 21.30 the same evening, three of Szmytka’s pieces are included in the programme of The Riot Ensemble’s HCMF debut: GAMEBOY (2014)*, skype-me, type-me (2011)* and empty music (2014)*. 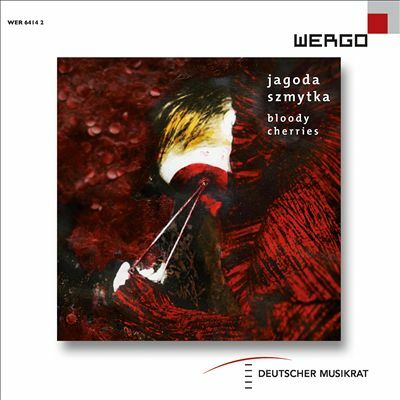 Seven of Szmytka’s works were issued on her ‘bloody cherries’ Wergo CD (2014), including skype-me, type-me. For the full impact, all of these works need to be seen, so hie thee to Huddersfield in eight weeks’ time! The Barbican Centre, London, has just announced its programme for 2015-16. 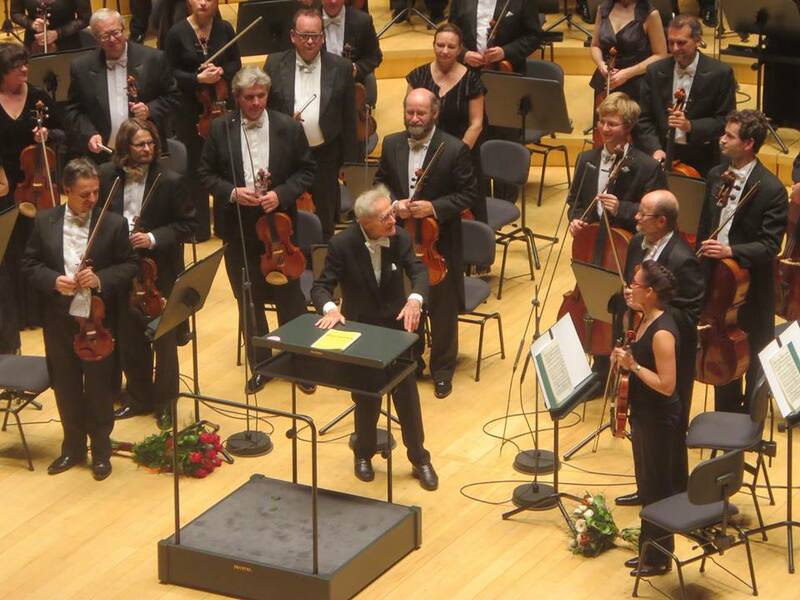 Among the events are three BBC Symphony Orchestra ‘Total Immersion’ days devoted to Henryk Mikołaj Górecki (3 October 2015), Louis Andriessen (13 February 2016) and Henri Dutilleux (30 April 2016). 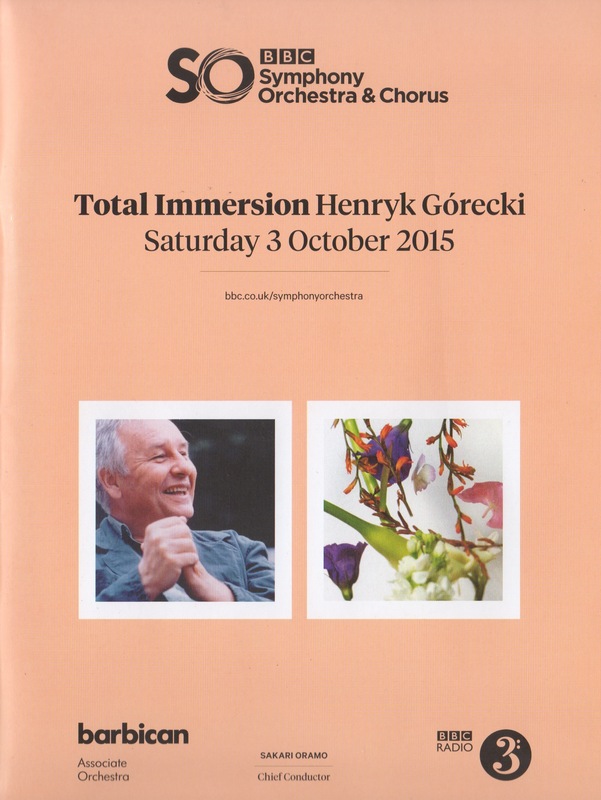 The programme for the Górecki day covers chamber, choral and orchestral music. 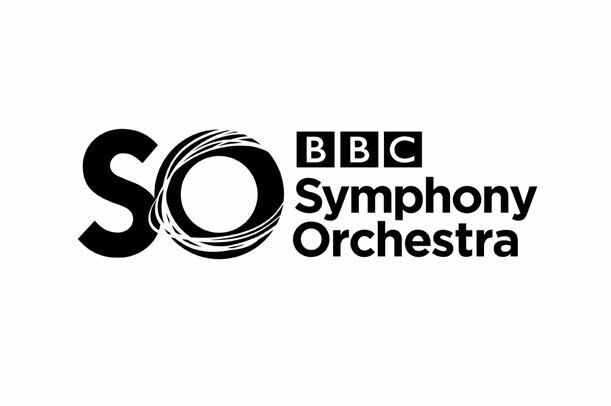 I am particularly pleased to see the programme for the final event, when the BBC SO will be conducted – for the first time – by Antoni Wit, with a line-up of exciting soloists. The programme is terrific: the UK premiere of Kyrie and the effervescent Harpsichord Concerto, framed by two rarely performed but characteristically gritty and luminous works from Górecki’s late 30s. It will be quite a day.